In February of 2005, I was 31 years old and really in the prime of my career. I had just gone to my first Pro Bowl, and had helped my team win a third Super Bowl. A day and a half after getting back from the Pro Bowl, I woke up around 4 in the morning with a severe headache and numbness on the left side of my body. At 31, you’re not really thinking about stroke, but I was having classic symptoms. I didn’t know that at the time, so I ignored it and went back to sleep. When I woke up again around 10, my symptoms had progressed. There was total numbness in my left arm and leg, I had an even worse headache, and I realized that I had lost my left field of vision in both of my eyes. So my wife, Heidi, called 911, and we took an ambulance to the hospital. I will never forget when my doctor put his hand on my shoulder and said, “Tedy, you’ve had a stroke.” I was shocked. The only time I had used the word stroke was on the golf course. You associate stroke with grandparents and older populations, and you don’t think it happens to the younger populations. But I know better now. And that is exactly why Heidi and I created Tedy’s Team. 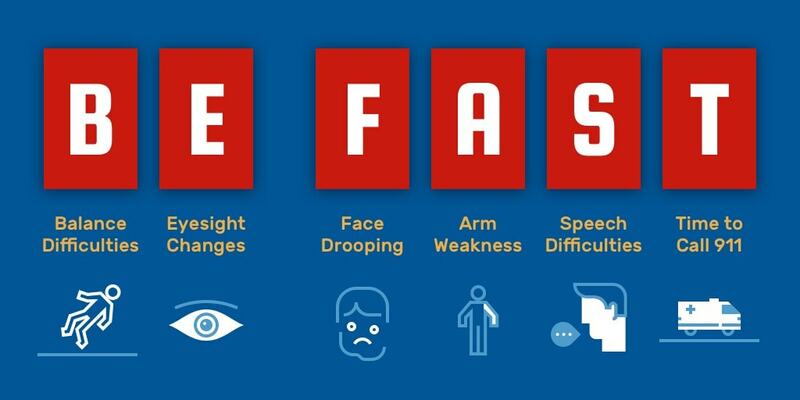 To raise awareness of stroke and its warning signs, and to break the stigma of who can have a stroke. 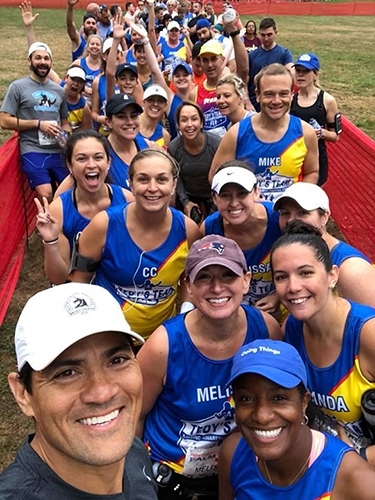 Tedy’s Team quickly grew into an endurance training team after we secured five bibs from the Boston Athletic Association for the Boston Marathon®, as a member of their charity program. We were still focusing on raising awareness, but through our running team, Tedy’s Team was able to raise life-saving funds to fight stroke. Fast forward to today – 14 years later – and we have raised over $5 million for stroke research and education with the support of more than 1,200 participants. And, we’ve turned those five bibs into a team of 49 – myself included this year. Next month, I will be joining my teammates as we take on the 123rd Boston Marathon and I’m extremely proud of that. Each of our teammates runs either as a survivor of stroke or heart disease themselves, or to honor a loved one who’s life has been impacted by stroke or heart disease. Together, they have worked to raise over $500,000 this year and have been putting hundreds of miles in to achieve their goal of running the Boston Marathon. Every year, I tell my runners that Boston is the Super Bowl of marathons and it really is. I’m so proud of the work they’ve put in to get to where they are now, and I can’t wait to see them all at our post-race party at The Lenox. Thanks to our partners at The Lenox Hotel, we are able to offer our runners and their families a place to watch them finish, and a place to meet and celebrate their amazing accomplishments. 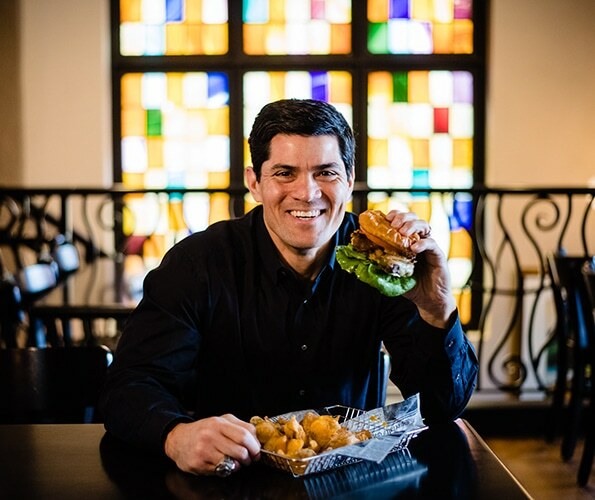 And if you’re in the neighborhood, stop by Sólás Irish Pub and try the “Bruschi Burger”, an amazing burger created by Chef Alex Galvis featuring some of my favorite toppings. 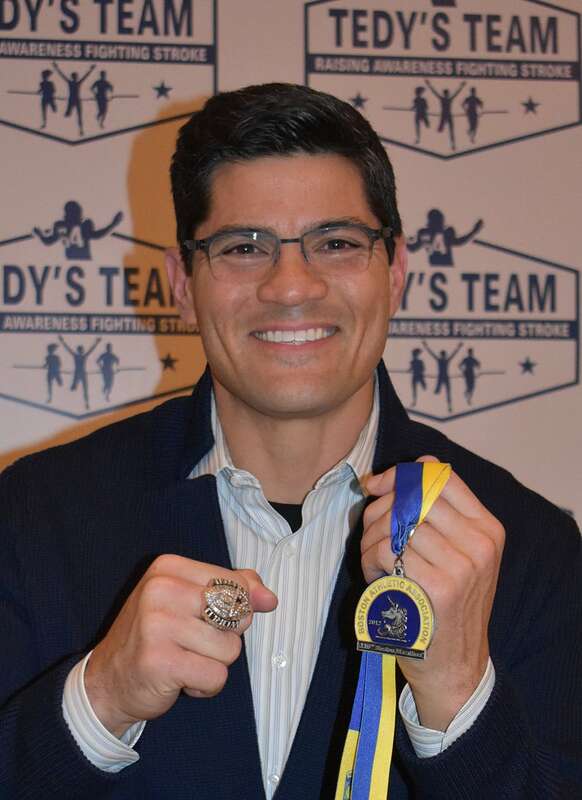 Proceeds from the burger sales are being donated directly to Tedy’s Team! Boston here we come. Let’s go!